I just saw a restored Super 90 go for $93,500 at Amelia Island last year. 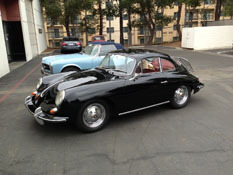 Porsche 356's are the becoming very popular collector cars and the prices are starting to move. if your looking for a car that has investment potential, buy a well documented original Porsche 356 and do nothing to it but enjoy it. Original cars are bringing premium prices, restoration costs will consume you, leave it alone and enjoy.